Yesterday I made my first trip to the Calgary Farmers' Market. I'll be back one day for lots of fresh veggies, meat and treats. 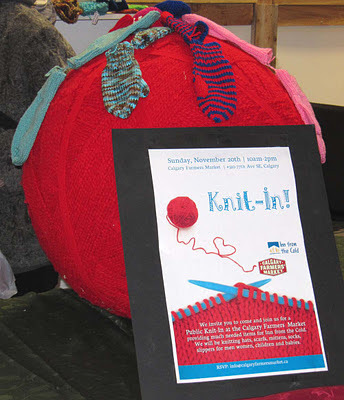 This visit, however, was to join the knitalong in support for the Calgary branch of Inn From Cold. 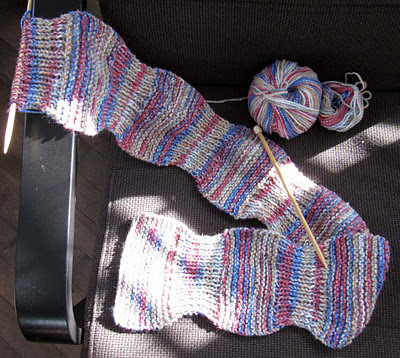 I had hoped to finish in time to turn it in at the knitalong. I'll drop it off the next time I go the market as the need for warm clothes, blankets and accessories is ongoing. 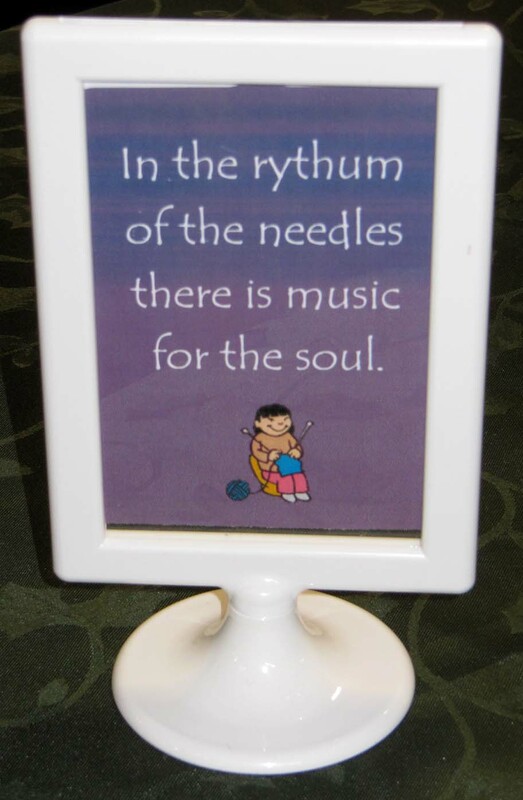 I had to smile when I saw this "rhythm of the needles" sign on one of the tables! Did you notice the misspelling? Love the Wibble Wobble Scarf! 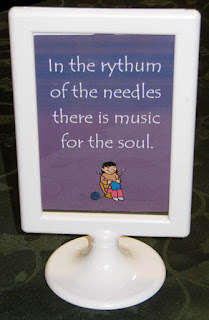 May I use your "rhythm of the needles" photo on my facebook page? Knit In for "Inn From the Cold"